Non-stop British Airways flights to Seychelles! Only 10 hours flying time from London Heathrow – BOOK NOW for best fares!! "I just wanted to say a Huge thank you for arranging the perfect holiday in the Seychelles for us. Your advice and expertise were second to none and made our dream holiday come true." Why not use our experience and in-depth knowledge of these beautiful islands to help you create the perfect trip? Something of a well-kept secret, the sheer magic and unparalleled beauty of these islands will leave you captivated. Blessed with a balmy climate, the warm seas and silver sands are matched by the unique elegance of high quality accommodation available across twelve separate islands. With 24 years’ experience in creating captivating and memorable holidays in this sun-soaked tropical paradise, you can be reassured that each beach and hotel has been personally vetted by our Seychelles Travel experts. Why waste hours searching through brochures for the right fit? Contact Seychelles Travel with your holiday requirements and we shall carefully match you to the right island, your preferred accommodation and holiday type. See our wonderful client reviews - we provide that personal touch. 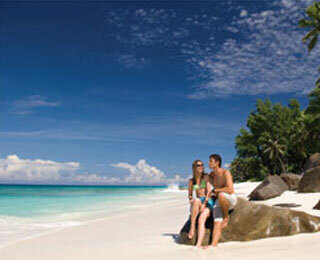 Hotels, Private Hideaway Islands, Luxurious Villas and Self-Catering - Seychelles Travel has a hoilday to suit you. When you've had your fill of lazing on golden beaches....we will guide you to enjoy a whole host of activities. Dreaming of tying the knot abroad? 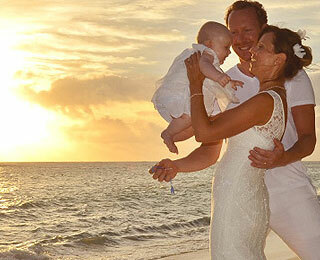 Seychelles Travel provides a full range of Wedding itineraries. A honeymoon in paradise - what more perfect way to start married life together? All personally vetted by our expert consultants, we offer a range of exclusive accommodation options. Why not stay on more than one island ? Island Hopping - the preferred way to experience the Seychelles. Tailor-Made Island Hopping with Seychelles Travel. Lying a thousand miles off the east coast of Africa, the Seychelles is a dream holiday destination. With over 65 white sand beaches, Mahé is the main island of the Seychelles with Victoria the charming capital. This verdant granite island enjoys a rich diversity of tropical flora and fauna. Measuring 16 by 4 miles with towering peaks covered with forests, it is an ideal walking and exploring island. Mahé Island is the commercial centre with international banks, supermarkets and small local shops. It was on Mahé that Ian Fleming gained inspiration for his James Bond novel “For Your Eyes Only” at the Hilton Northolme. La Digue, the third largest island, measures 3 x 2 miles and is 4 miles from Praslin. La Digue is famous for the incredible sculptured granite rock formations on Source d’Argent beaches. Ox carts and bicycles are the normal mode of transport, reflecting the general pace of life which is gentle and unhurried. The Union Estate boasts a coconut plantation, copra mill, vanilla plantation and Presidential guest house. Praslin, the second largest island, measuring 6 x 2.1/2 miles, is home to the Unesco Vallée de Mai site and a number of beautiful beaches such as Anse Lazio. Praslin has a wide range of hotels and the only 18 hole championship golf course in Seychelles. Nearby Curieuse Island is home to 250 breeding giant tortoises as well as ideally situated for short ferry trips to La Digue, Cousin and Aride Island. Located 250 miles from Mahé Island with a 1 hour flight service, Alphonse has a total area of some 4500 acres that includes the island lagoon and surrounding sand flats. A world leading centre for bone-fishing, Alphonse Island is a coral atoll with stunning white sand beaches and a forested interior. The island is protected by a strict conservation programme. Island guests stay in smart beachside bungalows and villas. A small island, now known as the Enchanted Island Resort. Located 2 miles from Mahe Island it is located within the Marine National Park. This small island has had an interesting history, in the 1800 ‘s once being a detention centre for sufferers of leprosy. After the 2nd world war it became a popular restaurant owned by the Calais family, where Sunday home cooked barbecues were not to be missed. Located 2½ miles off the east coast of Mahé, Cerf Island has an area of 325 acres and has a typically granite topography with a range of small hills along the length of the island, laced by small sandy coves and inlets within the Marine National Park. Cerf is a quiet refuge near to Victoria and has attracted various names such as Wilbur Smith and Bill Travis to live there. 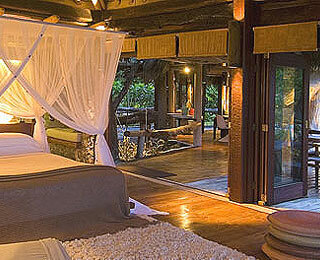 Cerf Island Resort, L’Habitation and South Point Villas provide accommodation on the island. 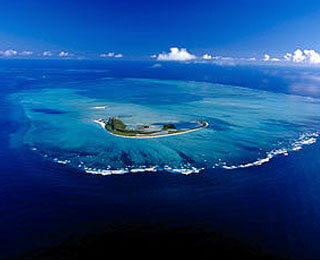 Bird Island is situated 65 miles north of Mahé Island with a wonderful tropical climate. With an area of 250 acres, Bird is a coral cay boasting over 3 miles of soft white sand beaches and home to millions of nesting sooty terns between May and October. It is also an important nesting site for sea turtles. The Island Lodge provides charming bungalow accommodation all year round. 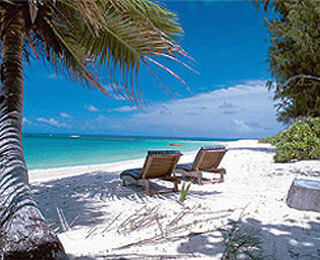 Located 2½ miles off Mahé, St.Anne Island is home to the 5 star Beachcomber Resort, within the Marine National Park. One of the first islands to be inhabited in 1770 by Lazare Picault, St.Anne later become a whaling station and in the 2nd World War a re-fuelling depot for the British navy. With a 800ft high granite peak and forested hills & valleys, the island is a fascinating location for walks and exploration. Located 17 miles north of Mahé Island, North Island has a ground area of 500 acres with four very attractive sandy beaches. The island is of a granite type with peaks and valleys making for an interesting island for walks and exploration. The island is part of a conservation programme protecting the islands flora and fauna. Guests arrive by either helicopter or boat (weather permitting), staying in luxury beachside villas with a butler to look after their every fancy. Frégate Island is 26 miles from Mahé island and is the home to a striking luxury hotel Frégate Island Private. This beautiful granite island of 500 acres has seven beautiful beaches, with Anse Victorin beach recently voted the world’s best. Renowned for its varied bio-diversity and over 2200 giant tortoises the island’s accommodation philosophy is that of sustainability and being at one with nature. Denis Island is situated 37 miles north of Mahé, with an area of 350 acres.  Denis Island is a coral cay shaped almost like that of a tear-drop. Being a cay, the island has beautiful soft sandy beaches with a densely forested hinterland with walks and cycleways. The Denis Island Lodge accommodates guests within its chalet style bungalows. The island farm produces the majority of the island’s food including vegetables and meat, and fresh fish from the surrounding ocean. Known as the finest seabird island in the western Indian Ocean , Aride Island is an essential part of the itinerary for any visitor to Seychelles. Aride hosts one of the most important seabird populations in the Indian Ocean with more breeding species than any other island in Seychelles. The island is managed as a nature reserve by the Island Conservation Society , a UK Registered Charity Aride Island is open to visitors and visits can be arranged by Seychelles Travel. Curieuse island is a small granitic island close to the north coast of Praslin and now part of Curieuse Marine National Park. Home to more than 300 giant tortoises who roam the island at will. The island is notable for its bare red earth with Coco de Mer palms scattered around. The beach is a popular resting place for visitors enjoying a day’s excursion, whilst a volunteer group studies fish, turtle and coral numbers. Cousin Island, located 1 mile from Praslin Island is under the auspices of Bird Life International and designated as a Special Reserve. Cousin Island is not only significant for sea birds and endemic land birds but also an important site for Hawksbill Turtles. The Island is the home to the Brush Warbler, the Seychelles Fody, and Seychelles Turtle Dove. The Magpie Robin has recently been introduced. Also found are Audubon's Shearwaters, Bridled Terns, Brown and Black Noddies. As its name suggests, Silhouette Island, when viewed from Mahé Island, a distance of 12 miles, sits boldly to the northern horizon shaped majestically like a craggy mountain top. Five granite peaks in total form the silhouette, within an area of 5000 acres. The island supports three small villages and two hotels, the Hilton Labriz and the Bell Tortue Lodge. Dramatic walks and pathways criss-cross the island making the location an attractive venue for flora and fauna observers. Félicité Island is a small heavy forested granitic island 4 kilometres east of La Digue island. Up until the 1970s it was a coconut plantation with a population of about 50 people. Six Senses Zil Pasyon Luxury Resort is now located on Félicité, where massive granite rocks and white sand beaches create an air of drama and beauty. Created with the renowned Six Senses flair, the resort is a very personal destination that embraces nature while offering every creature comfort. Its 30 pool villas offer an oasis of serenity encircled by the Indian Ocean.